My Visa application was rejected. What do I do now? If you are of the opinion that the decision of the Embassy was incorrect, please explain in writing, why you have this opinion and request for the re-checking of the rejection of your visa application.You will receive a short explanation in note form regarding the reasons for the rejection of your application when you receive your passport. Please discuss the reasons for rejection in your written request for the checking (remonstration). The processing of a remonstration requires several weeks. 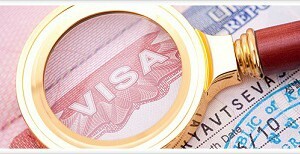 The embassy will thereby respond to your remonstration and review the application. If we come to the conclusion, that an additional interview could help, we send you a written invitation to an interview. If we can in the course of the discussion follow your reasoning, you will receive a visa. If we cannot follow your reasoning, you will consequently receive a written notice by post, against which you can file a court case against the Federal Republic of Germany with the Administrative Court in Berlin within one month of receipt of the notice. Pursuant to Paragraph 23 Section 1 of the Administrative Procedure Act official language is German. For this reason all notices are to be written in German. If you do not understand German, you can have the notice translated by your sponsor or a professional translator. The Embassy does not provide translation services. If we are of the opinion, that our decision does not require an additional discussion with you as the applicant, then you will receive a detailed written notice by post, against which you can file a court case against the Federal Republic of Germany with the Administrative Court in Berlin within one month of receipt of the notice. In the case that you have received a written notice following the remonstration,you have a period of one month following delivery of the notice to you for the filing of a court case against the Federal Republic of Germany with the Administrative Court in Berlin. Please wait in any case until you have received the notice. You can, alternatively, submit a new application and should hereby respond especially to the reasons for the rejection of your previous application and try to clear these up through the submission of the appropriate documents. I applied for student applicant visa before nine months today I got response that my application been rejected due to embassy mistake now embassy reopened my application and sent the required stuff which they needed in Germany. do you think they will reject my application or I will get the visa ? I applied for family reunion visa but almost 7 months before but got my visa rejected and the reason for rejection was that my husband have probation period at job(he is physiotherapist and works in a clinic).. then my husband got unlimited job contact letter from his employer and I applied for applied on 04.01.2016 with all my supporting documents like appeal letter ,my husband’s job contract,new unlimited job letter ,bank statement,visa card… I just want to confirm that are these documents enough to support my appeal? And how long embassy take to process now? Plz help me… m very stressed….Plz help…. Thank you very much for your attention. I gave my visa interview on 15 January 2016. I applied for master program. But still 2 months I didn’t get any response from mumbai embassy.morover I mailed university counselor about my situations. They said me that they sent my documents to Mumbai consulate 8th February. Also I mailed Mumbai embassy they gave me response that feedback of german domestic authorities decision is still pending since one month they said me same response. I didn’t understand the meaning of the mail. I called embassy about this but officer also didn’t understand the meaning of mail. Is there any chance to get visa approval??? Please give me response as soon as possible. German Domestic Authority means Indian officer in Embassy. Have you received approval …what time you received ? I have my visa interview on 18th and my blocked account is not opened yet. And I donot have any certificate of German classes even though I have applied masters in English course. I feel chances of rejection is high? I had student visa and joined course and lived in germany for 3 months but due to family problems i returned back leaving the course..
what are the chances of visa if i want to apply again ? My sons student applicant visa is rejected after 90 days of application. Reason given is that he hasn’t prepared enough to show that he will complete his Engineering within the time frame.. my son has just completed 12 grade in CBSE board New Delhi. We are Indian expats in Dubai. The embassy had asked for his original 12 marksheet but unfortunately we recevied it very late. My son had done A1 only at time of application and couldn’t do more language due to school timings. Now he is doing B1 in Dubai. We have registered him for 3?level of language course in Berlin. My question is: Do I apply for language visa now and then again apply for student applicant visa? Will his chance for student visa be affected with this rejection? My visa has been rejected and the embassy has told me to file a complaint to the Berlin court. how longe does it take time to Conclusion from the Berlin Court? im newly graduated doctor and i ve applied for specialization in germany through a company, so the german language was a condition. than i took addmision in languahe course and credit the fee of course 4000€’ and made blocked account with money, rent accomodition, get insurance and more other documents. after interview to day 21-11-2018, i got reject reply. now i dont know what should i do? any one who knows about the process please guide me for the next step. because i ve spent more money and time. You just have to wait!!! best of luck!